Welcome to our ultimate guide to the TOP 10 BEST youth batting gloves. This review and buyer’s guide will be updated every season with the highest rated and best performing gloves to make sure that you’re always seeing the most up-to-date list. Let’s take a look at this season’s favorites! As a baseball player, you want to invest in the best equipment to give you every advantage possible. You don’t need to break the bank in order to grab a great pair of batting gloves, so it just makes sense to get yourself a decent pair to compliment your bat. Here are the top ten highest rated youth batting gloves available today! 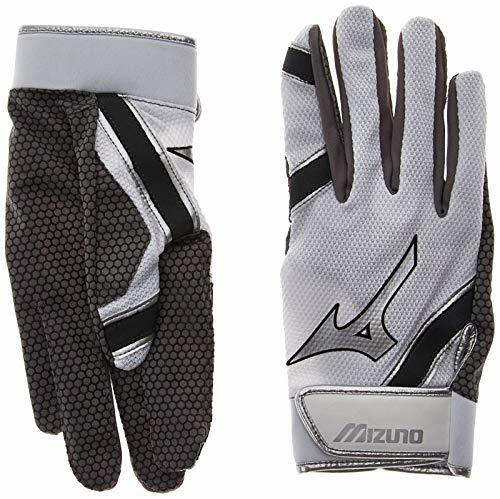 Mizuno has been developing quality youth batting gloves for a long time and the Pro G4 is the latest in a long line of great products from them. The G4 utilizes technology called a Sensor Point Palm that puts extra grip in strategic points on the palm. The Motion Arc Line is developed to move just like your skin and create a more comfortable swing. 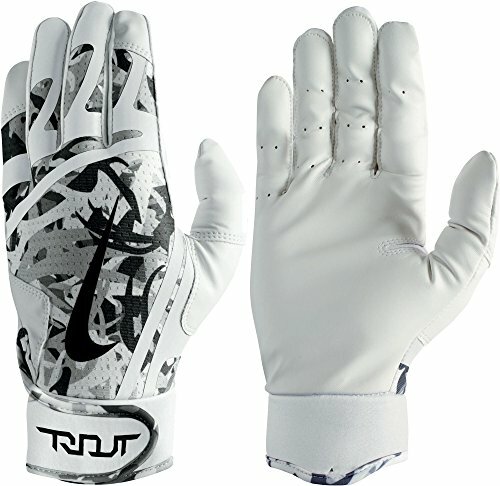 These are durable gloves that your youth player can use this season, next season, and beyond. Not only does it improve the value of your investment, but it creates a level of comfort that will significantly benefit any player. DeMarini is one of the more innovative companies when it comes to youth baseball equipment and they put all of that innovation into the Versus youth batting glove. The design of the glove brings it higher on the wrist to avoid the rubbing that normally occurs with other gloves. With the sturdy materials used to make the Versus gloves, they can protect your youth hitter’s entire lower arm from injuries that other gloves are unable to prevent. Easton has been making quality youth baseball equipment for a long time and the engineers at Easton know what youth hitters need to be successful. The comfort level of the HS7 gloves is off the charts thanks to its sheepskin fabric and engineered design. Hitters will not even notice these gloves thanks to their extreme comfort and the durable wrist strap. These durable gloves will last this season and beyond and give your youth hitter the edge they need to be their very best. 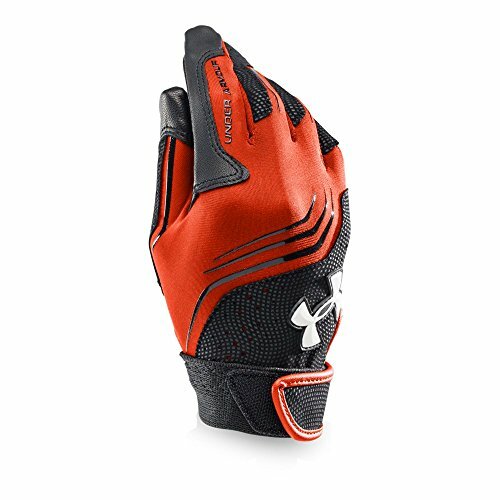 Under Armour knows how to make sporting equipment that is durable and comfortable, which are two of the most important traits of good youth batting gloves. Under Armour has put its HeatGear technology on the back of the Clean Up batting gloves to keep your hitter’s hands dry and comfortable at all times. 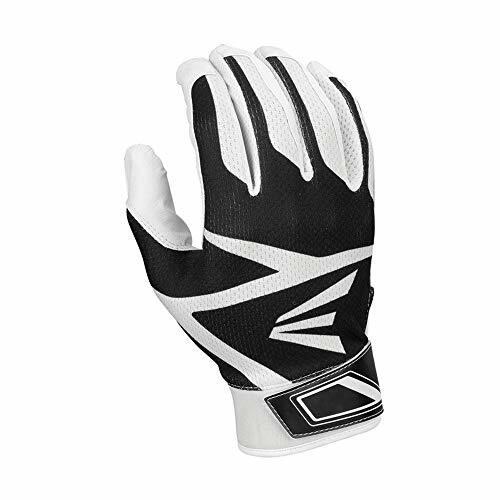 The Clean Up batting gloves also have that sense of style that Under Armour has become famous for, which means that these gloves look great while they are helping your youth player to make better contact. 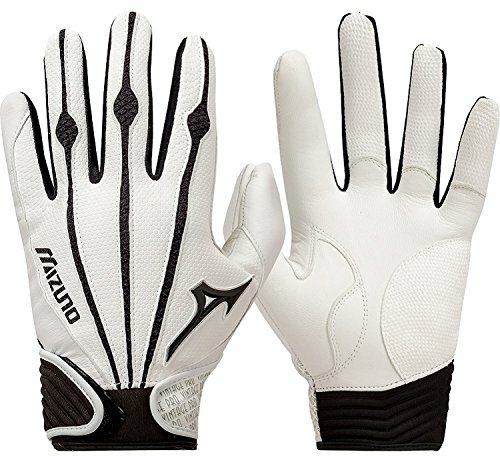 Mizuno has developed a reputation for making high quality products and the MVP batting glove does nothing to harm that reputation. These gloves look great and fit perfectly. They are designed with extra contact material at strategic points to increase grip and durability. 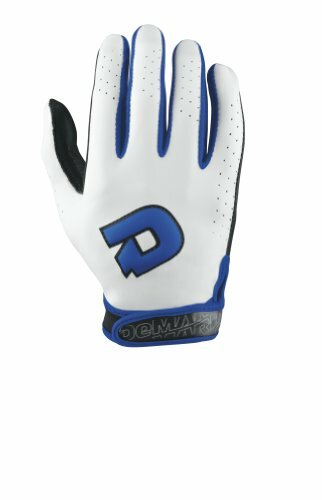 The design of the MVP batting glove also helps to keep your youth player’s hands dry during those pressure situations. The MVP batting glove even has an area where your youth player can write their name and make sure that they are the only ones who use their Mizuno gloves. You would expect a world leader like Nike to be on a list of the top youth batting gloves and the Nike Youth Trout Edge Gloves makes a strong showing for itself. 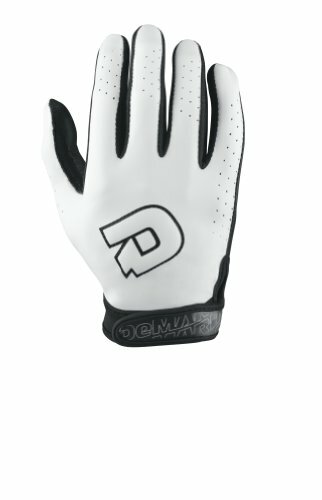 This simple black glove with the Nike swoosh looks great and the real leather palm allows for maximum comfort and grip. Easton makes another appearance on this top 10 list with its Youth Versus Icon batting glove. This glove has specially engineered padding that is strategically placed to reduce vibration from impact by up to 76 percent. This is the glove that can help your youth player to make good contact every time. 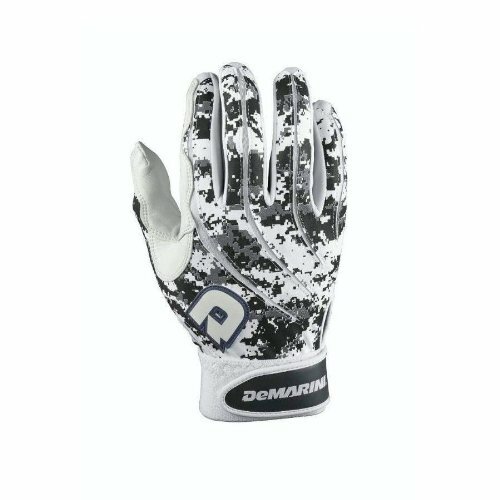 The smooth leather palm of the DeMarini Youth Digi Camo batting glove is only matched by the engineered design of each knuckle to allow for maximum comfort. This is a classically-designed look that uses new technology to give your youth player an edge with every at-bat. 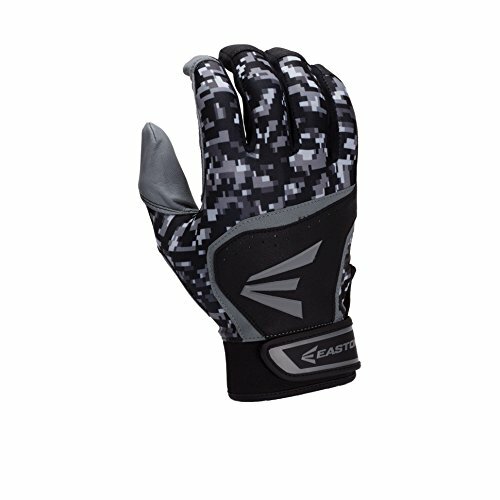 For maximum grip and durability, the Easton HS3 batting glove uses goatskin on the palm and Easton’s Zonal Flex technology on every knuckle of every finger. 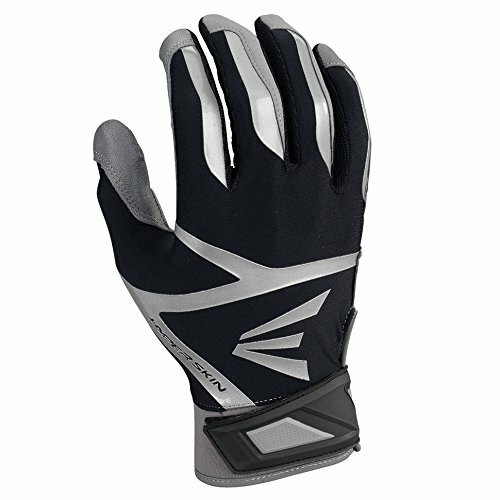 The mesh between each finger is designed to stretch to give maximum control and comfort, which helps this batting glove to stand apart from the rest. A molded wrist strap and one-piece genuine leather palm combine to give this glove maximum comfort and grip. DeMarini has its anti-vibration pads installed at strategic points on the fingers to create a glove that offers nothing but the maximum levels of versatility and durability. What Makes a Good Batting Glove? A batting glove with a one-piece palm can offer premium grip and it can also avoid tearing at the seams, which creates blisters and painful contact. Another extremely important quality to look for in a good youth batting glove is proper padding and comfort in the wrist area. Not only does the glove need to have the ability to conform to the size of your youth player’s hand, but it also needs to avoid rubbing or chaffing the hand and wrist. A good glove will not only aid in a good swing, but it can also prevent injuries by providing protection for areas of the hand and wrist that are normally exposed to contact. It’s a great feeling when you find a good quality glove that fits well. The best quality gloves are normally not that much more expensive than cheap gloves, but good quality gloves will last for a very long time. Cheap gloves tear at the points of contact with the bat and that leads to bad contact and injuries. A cheap glove with bad grip can also cause your youth player to lose control of their bat during the swing, which could have devastating consequences. A well-designed glove will keep your youth hitter’s hands cool and free from blisters. Cheap gloves tend to not accommodate the natural movement of the hand very well, and they encourage sweating and discomfort. A cheap glove could give your youth player unnecessary injuries that could keep them off the field, while investing in quality gloves would mean the chance to get as many at-bats as possible and enjoy the game of baseball to its fullest extent.